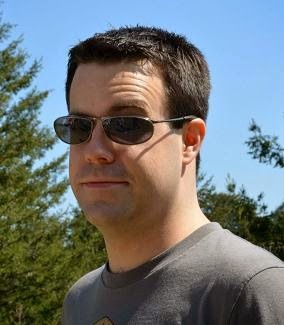 Please welcome to Farsight Blogger Joe Theis of Lone Wolf Development, the people behind the digital gaming aid Realm Works. Realm Works is the tool every Game Master has dreamed about for managing campaigns. Spend less time preparing, more time creating, and focus on sharing the story with your players! Built by a team of experienced GMs, Realm Works can be used with any game system and allows you to create and manipulate your world like never before. My name is Joe. I’m a designer and software engineer for Lone Wolf, specifically Realm Works. I’m an avid PC gamer and builder, miniature painter, and RPG game master and player. I also enjoy running and target shooting, along with personal software development side projects. I’m married to the wonderful Liz, who you might already know from Lone Wolf’s forums, website, or social media. We have an adorable and energetic Formosan mountain dog named Kaylee. My first game was a long time ago. My friend’s older brother was running a game and the group needed a cleric (of course). I had no idea what was going on, but I thought it was weird and cool. After that, I didn’t think much of it. Years later, some friends and I discovered the board game Hero Quest, which is sort of like a proto-RPG. There wasn’t really role playing, but there were random/variable dungeons, killing monsters, avoiding traps, collecting and spending loot, etc. After lots of Hero Quest, one of our friends introduced us to Dungeons and Dragons 3.0. Since then, I’ve played with a number of different systems and genres. I suppose now I should mention that everything in my answers is my own personal opinion, and doesn’t in any way reflect the opinions of Lone Wolf Development as an organization. I also recognize that these are my own personal preferences and opinions, and that others can and should feel free to have their own differing opinions. My love of computer gaming undoubtedly colors my RPG preferences. There are certain things that I believe computer games are just better at as a medium: complex mechanics and computation, physical simulation, visual and audio immersion, etc. If I want a grid-based tactical challenge, I’ll prefer a video game like Civilization or XCom. If I want mechanical character progression, loot, and itemization, I’ll look to games like Diablo, Borderlands, Elder Scrolls, Planetside 2, etc. It’s not that I won’t play a combat and mechanics-heavy RPG (you’ll see that below), but it’s not what attracts me to RPG’s. I believe that video games are not (and perhaps never will be) good at deep social interaction with NPCs, open-ended storytelling, and player/GM freedom. I think RPG’s can reliably provide these things, and that’s why I come to them. I’m a big fan of the new Star Wars games coming out of Fantasy Flight (Edge of the Empire, Age of Rebellion, etc). Part of this is because I’m a fan of the original trilogy, some of the novels, and these games are set in the thick of that. The systems are very different from the d20-based systems I’ve been used to for so long, and change can be a good thing in my opinion. They are a deliberate departure from heavy mechanics, and also have a clear focus on interaction, storytelling, and freedom (see above). The things I love about the system itself aren’t Star Wars specific though, and could apply to any genre really. The same game designer made an earlier, similar system for Warhammer Fantasy Roleplay 3rd Edition, for instance. I don’t have a ton of time for RPGs lately, but I’m currently involved in a long-running Pathfinder game with the Savage Tide adventure path. I joined it at around 9th level when it was being run under D&D 4th ed. We’re now in the high teens (18th or 19th) with a few Mythic tiers to boot. While Pathfinder is undoubtedly a mechanics-heavy game, it’s a solid system, I like playing with my friends, and our GM is able to inject a lot of personality into the NPCs and storylines. Tell us more about Realm Works. It's been seen all over, most recently at PaizoCon, and it's a handy tool for world building and makes campaign management much easier; what was the attraction in making such an application? In general, I think the big attraction people have to Realm Works is that everyone wants to have immersive, believable worlds but that getting there is so hard. I remember my first attempt as a GM to make a system for myself involved a big stack of index cards and tabbed dividers. It was helpful, but limited in a lot of ways. I think another attraction for people is that it refocuses RPG tools on the major strength of RPGs: role-playing and collaborative storytelling. Most tools have been centered on managing mechanical complexity: character creators, dice rollers, initiative trackers, combat grids, and so on. You’d think that tools for managing mechanical complexity would reduce the complexity of our games, and they do to a certain extent. From my perspective though, complexity is inherent in the system and mechanics and doesn’t go away, but becomes easier to deal with thanks to the tools. I also think that easing this burden results in more game sessions focusing on mechanics, which is great if that’s your preference. Realm Works helps you manage narrative complexity, and in the same way, this doesn’t mean you’ll be spending less time on narrative because it’s less complex. It means that you can have more depth to your narrative before it becomes burdensome. Where before it was difficult to have more than a handful of NPCs and plot threads, you can now have Game of Thrones-level intrigue going on (and again, just my personal feelings, no endorsement from George R.R. Martin or HBO!) Much in the way that I believe mechanically-focused tools encourage mechanically-focused games, my hope is that having some narrative tools will result in more game sessions with enjoyable role-playing, narrative and collaborative storytelling elements. The big attraction for me personally is that there’s nothing really comparable to Realm Works. As a developer, working in uncharted territory like this is exciting, educational, and rewarding. It’s also very exciting to want to actually use the product you’re working on, which is something many developers can’t say. It's very polished, so what went into building the tool? Was there a lot of work involved? We’re happy to hear that! We’re a small team working on a big project, so it’s sometimes hard for us to look past what we see as obvious, glaring flaws. We’re often our own worst critics, but that keeps us always relentlessly pursuing quality and polish. Realm Works has a lot of intelligent technology under the hood that hasn’t really been seen anywhere before, certainly not in gaming products at any rate. There was a lot of thought and effort put in to design and architecture for the engine that drives Realm Works, which took a considerable amount of time. Really the concept itself has been a lifelong dream for Rob (it’s creator and Lone Wolf’s owner), and technology has only recently caught up to make his vision possible. Work is still ongoing, and will be for a long time. Realm Works is not really a product where there’s a finite set of features, where we package and deliver it in a final state and then never touch it again. It will be constantly evolving as the gaming and technology landscape changes. I think RPGs are already seeing a split, with systems focusing on storytelling, player and GM creativity, and social interaction parting ways from systems that focus on mechanics, simulation, combat, and number crunching. There’s nothing wrong with having a personal preference for either, but I do think the narrative-focused branch will have an easier time in the long run. It delivers a unique experience that can’t be found elsewhere, while the more mechanical games will need to differentiate themselves from other mechanics-focused card games, board games, tabletop war games, and video games. I also think we’re going to see technology playing a greater role in tabletop RPGs of all kinds. We already have virtual tabletops, telepresence, and obviously tools like Hero Lab and Realm Works. This is only going to become more common and mainstream as time goes on. I think there’s still a place for low-tech RPG play too. There’s something special about paper character sheets, miniature figures, pencils, books, and dice. Humans like concrete, tangible objects. We like sitting around a table, talking face-to-face. I think there’s a balance to be struck that is unique to each group and player. Right now I’m playing with learning the Unity 3d game engine, as well as some basic 3d modeling in Blender, both of which have been new and interesting challenges for me. But as a developer, artist, and gamer, it’s scratching a lot of my itches all at once! Lone Wolf Development also bought us Hero Lab. Hero Lab makes character creation a breeze, automatically tracking modifiers for every stat, ability, item, spell, and option you select. The automated validation engine verifies that all prerequisites, minimums, and other requirements have been met, pointing out where your character is in conflict with the rules.Hero Lab also acts as an electronic character sheet at the game table, keeping track of your health, abilities, and more during the game. Once the adventure is over, use your experience to advance your character to the next level and beyond! Many thanks to Liz Theis for arranging the interview. My first exposure to the Weird West was the tabletop roleplaying game ‘Deadlands’, in which magic, superstition and downright Cthulhu-esque shenanigans were afoot in the wild west of America of the late 19th century. It was an interesting premise but not one that I explored fully. After experiencing the horror that was the movie ‘Wild Wild West’ and the films ‘Jonah Hex’ and ‘Abraham Lincoln: Vampire Hunter’… well, those three things alone were enough to make want to cast fantasy westerns away with a grimace of disdain. After reading about ‘Dead Man’s Hand’ I was unsure as to whether I really wanted to dive back into the weird west again. If it had been a single novel-length story I would most likely have given it a miss, but as this was a short story anthology, with some high-profile names such as Alan Dean Foster, Alastair Reynolds and Elizabeth Bear… I felt that I had a better chance at enjoying at least some of the stories even if the genre didn’t appeal to me as a whole. After experiencing ‘The Red-Headed Death’ by Joe R. Lansdale, the first story in the book, I pretty much knew I was in for something exciting. It’s a fast, violent story and the conclusion is satisfying and intriguing – there’s more this Jebediah Mercer character and I felt that I wanted to learn more about him. Not only that, but the story is the literary equivalent of knocking back three fingers of firewater and then having the editor slam your head into the saloon bar while pressing the still-warm barrel of a Sam Colt in your head and growling, ‘you will read the rest of this book’. You simply can’t say no. After this story I thought that the rest of the book would follow a similar tack, with the supernatural, death, demons, vampires and gun-toting werewolves bursting through saloon doors and fast-drawing on shotgun-wielding priests. As cool as that sounds, it didn’t quite work out that way. Dead Man’s Hand is a collection of pretty much every type of science fiction, horror and fantasy cast into the old west. Vampires? Check. Aliens? Oh, yeah. Dinosaurs? What? Er… okay then. I saw ‘The Valley Of Gwangi’, how bad can it be? Not bad at all. In fact, I think Tad Williams’ ‘Strong Medicine’ is my favourite of the lot. In Medicine Dance, Arizona something peculiar occurs once every thirty-nine years. Time goes crazy and all kinds of prehistoric creatures emerge. It sounds insane but the story is much more layered than that and it makes for an excellent character driven story with an unexpected reveal at the end. Dead Man’s Hand doesn’t really have any bad stories in there. There were two I wasn’t totally sold on but they were still good stories, and the others range from very good to excellent. It’s a cracking book and I imagine it’s an anthology that I’ll come back to more than once. This is the very first page of my very first Basic D&D adventure I wrote 30 years ago, when I got into D&D and the RPG hobby became one of my favourite things. I created my own campaign world and the idea was that as the players explored they opened up new areas of the setting. Sadly, it wouldn't get used for another five years in a short-lived campaign I can barely remember. The rest of the document is quite detailed, with every location mapped and every point of interest in that location detailed and statted. I liked to think that I was ready with a foe or an encounter no matter where the players decided to go and so I'd design accordingly. I was a first-time DM then, and I'd try to plan for every eventuality. I also had this 'me-against-them' view of the game as I was new to the hobby and still the boardgame mentality, as if I was challenging the players to defeat my adventure. I still have that in me, but now I'm less interested in them beating my scenarios, and more interested in seeing how the players react to them. I've also got my first ever Star Wars map somewhere, from 1987. I'll have to dig that out of my hefty Star Wars RPG folder, which has more than a decade of material in it. Welcome to NOMCAST Episode 2, a podcast in which we talk about random nerd stuff. 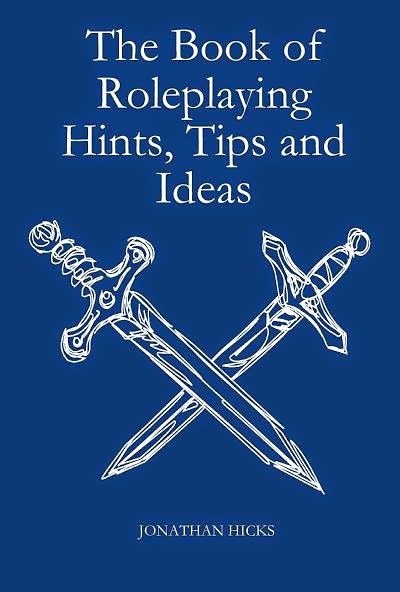 Here's another extract from my book 'The Book of Roleplaying Hints, Tips and Ideas, available now on Kindle. This article was more of an observation than it was a hint or tip. Welcome to NOMCAST, a podcast in which we talk about random nerd stuff. This is new to me and a first attempt at a simple, easy and relaxed format. Blade Runner - will it work? Please welcome to Farsight Blogger Jesse Galena; gamer, writer and gosh darn it, a damn fine fellow. Right now he's got a Kickstarter on the go; Timeline Fracture is a tabletop RPG campaign setting that lets you to use d20 books (3.0, 3.5, etc) regardless of genre together. You can take the races, classes, weapons, feats, and skills from multiple d20 books and create the most interesting characters you can imagine. When creating a campaign, the setting allows you to use the diverse material in a coherent and consistent way. The rich setting offers a living, unique world where all these elements can come together. Timeline Fracture provides world-based solutions that solve complications that would arise from mixing different d20 books together. It also allows you to get the most out of all of the d20 books you own, breathing new life into them. If you discover new d20 books of any setting, they can be used to enhance Timeline Fracture even further. I am a twenty eight year old fiction writer who recently married an intelligent, wonderful lady. I love to write, create, and learn as much as I can. Unlike most of my friends who play RPGs, I'm a bit of a late bloomer. I wasn't introduced to it until I started college. While visiting a friend on spring break, he told me about this game his friends got him into playing. At the time, I was only familiar with video games and board games, so I was confused that his character had a defined look but no actual picture and intrigued that he created his own character. He told me to join them, so I did. In the basement of one of the dorm halls, we played Dead Lands for seven hours. That was my first experience, and it was enough to hook me. I have joined and run games ever since. Games like Vampire: The Masquerade, Monte Cook's Arcana Evolved, Savage Worlds, and Numenera have all left a positive impression on me. It wasn't long before I started making and running my own systems and games that fit niches that were not being satisfied. I love the idea of theater and communal story telling mixed with rules and regulations to make the experience balanced and dynamic for all the players. You are playing an important role in an ever-shifting story you and others help shape. That kind of creativity is intoxicating. When playing RPGS, you have choices that are not limited to specific paths, the bane of every GM's planning efforts. Your options of what to do with your character are vast. I once made an entire encounter for my players in a ten-story building. Different events would trigger and different people showed up depending on which floor they went to and how long they took. Instead of investigating the building, my players made a fertilizer bomb out of a van, put a brick on the gas, and dove from the speeding van before it struck the building and blew it up. I never expected them to do that. I also love that failure usually makes the story more interesting rather than simply penalizing the players, though it can do that as well. In many board games, video games, card games, failure has a specific outcome. If you fall in the pit, you die. If you don't roll high enough or answer a question correctly, someone will beat you to the end of the board. The effect has to directly relate to the mechanics of the game. But RPGs mimic life and real interactions which allows for a far more dynamic possibility of negative outcomes. You could lose HP or drop something you care about or even have an NPC you liked refuse to speak with you anymore. The consequences can transcend the mechanics of the game. My favorite game is a tabletop RPG where everyone plays to have a good time, tell a story, and help each other. I've been a part of several games like that, and they are always fun regardless of the system we use. For specific games at the moment, I love Numenera, Storium.com, and Timeline Fracture. I enjoy Numenera because it is in-depth but not too complicated system, Storium because it can be RPGs on your time, and Timeline Fracture because no matter what idea for a character or story I have, I can make it work. My wife and I have also pumped about one hundred and fifty hours into Dark Souls and Dark Souls II, so I feel it would be doing those games a disservice to leave them out. I do have time to play, but my wife and I just moved to a new city that lacks my regular RPG groups. Now that we're unpacked and settled, I am finding new people to play with. I am up for most games, so I am excited to join a new group or two. That's a great question. I think inclusiveness will keep it viable. Rather than only playing with our tried and true party members, its good to extend a hand to newer players. You can help teach them table etiquette and show them how much fun being in a friendly group can be. I think innovation will make a difference. Many games have gotten simpler over the years, allowing new players to have an easier time learning the rules. That being said, there are still great games with 300+ page books that learned from previous games and made a wonderful, very large system. I think variety will draw people in. Vampire: The Masquerade doesn't play like Pathfinder and neither play like Numenera. There are so many good games and systems that one of them will probably deliver what you want. If you can't find one that does what you want, you can make your own. I think the social nature of RPGs is one of its strengths. I love video games, but none of them, even those I play online, have fully captured the experience of being in a room with people and playing an RPG. There is a different feel to the experience, and I think once you've experienced it and liked it, you'll know there's nothing else quite like it. I cannot say for sure. I will say there is a very special place in my heart for Timeline Fracture, for it is the first time I have tried to appeal to such a large audience. I've made other games and ran them successfully for years, even had other people run those games without me for different people. Timeline Fracture is even larger than that. I want everyone to have the chance to experience it and have as much fun as we did. For all the work I've done for it and how I have seen it succeed as a game, I am quite proud of it. Tell us more about Timeline Fracture and the crowdfunding project; what was the attraction in making such a game, and why choose crowdfunding? The idea of Timeline Fracture came about while I was making another game. I liked the idea of having a first-generation astronaut, a warrior, and a cyborg in a party together. I looked into several genre-bending game systems, but none of them quite clicked with me. Aside from that, the rule books were so thick I questioned if I could convince an entire group of friends to dedicate enough time to learn a new, extremely dense system. That's what got me looking more into d20. The massive amount of content meant that nearly everyone I knew had experience with playing one d20 game or another. If you were only experienced with a particular fantasy game, you could make a character for Timeline Fracture without using any other books. If you were a seasoned player or wanted to explore what could happen when you started mixing different games, you had a great wealth of possibilities before you. Both kinds of players could play Timeline Fracture and have a wonderful time with it. Since all those d20 games used the same system, everyone knew the basics. I thought players could make characters using any class, any item, and any feat they could find. My work was done, and I didn't even have to do anything. In my first game, I learned how wrong I was. While d20 games all use the same base system, there are a lot of changes between each of them that don't mesh. With that in mind, I started finding solutions for these problems. It took quite a while and a lot of research into different d20 games, but I found the answers to converting all this wonderful content into a tangible game that everyone could enjoy. I chose to crowdfund Timeline Fracture for several reasons. One reason was because RPGs are social games, and I wanted to make the development a more social experience to mimic that. I made a forum for the backers and myself so we could communicate. I made pledge levels that allow people to shape the game. I wanted to hear about people's experience with it directly. Aside from constantly writing new works, I have written a fantasy novel and am looking for an agent, I have more to add to Timeline Fracture, and of course I have not stopped making new RPG systems. What order these get released is not fully in my hands, but all of them are sure to happen.